The Club operates both Adult and Junior sections which run throughout the year in four terms. The Adult section operates on Thursday nights and is for those aged seventeen to sixty five and over, while the Junior section is on Monday nights and is for those aged eight to sixteen. The Adults section is for any adult who currently fences, has fenced, or wants to learn to fence. 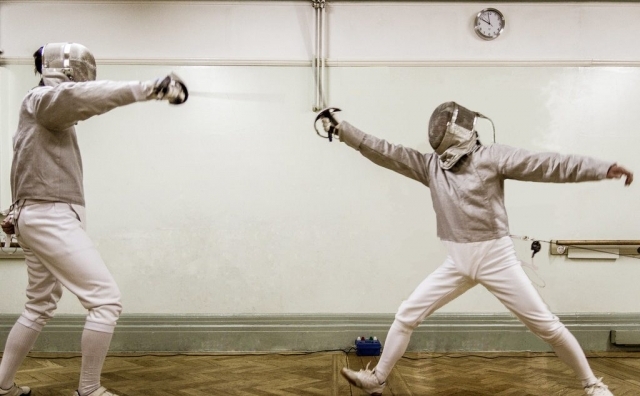 Current fencers can just join in, and past fencers can refresh their skills and ease back into the sport. 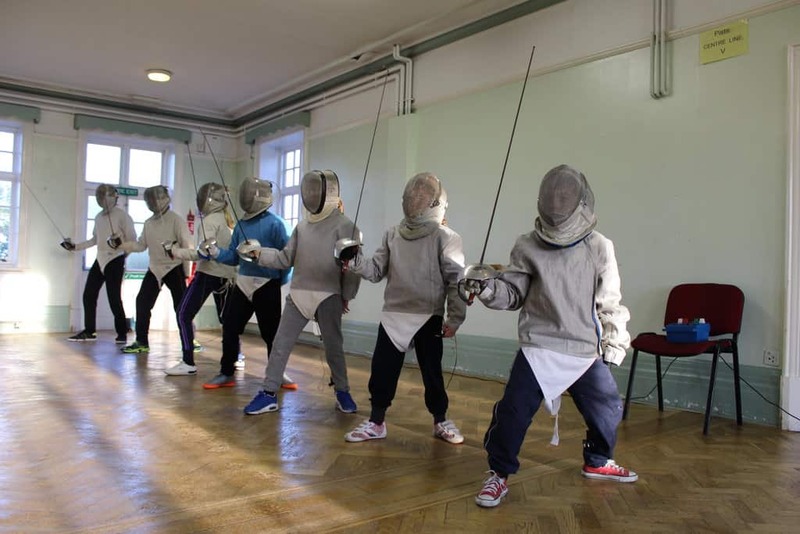 Those wishing to start fencing can come and learn at their own pace, without any pressure and importantly have fun while doing so! 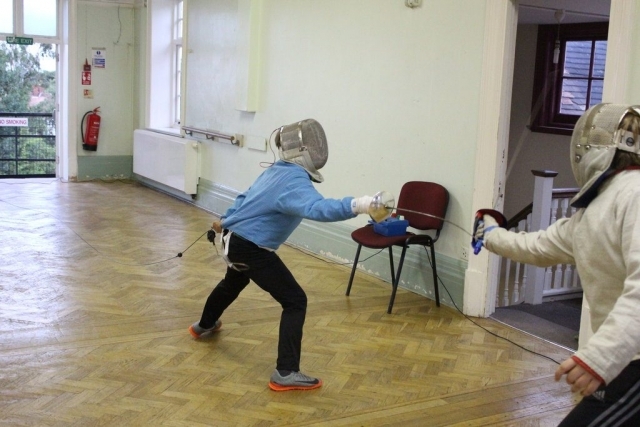 The Adults section offers fencers and beginners the opportunity to fence with the Sabre, French Foil and French Epee. Most of the adult fencers fence two or three weapons, and everyone can progress to a new weapon, if they wish. The adults are provided with the entire minimum fencing safety equipment required. 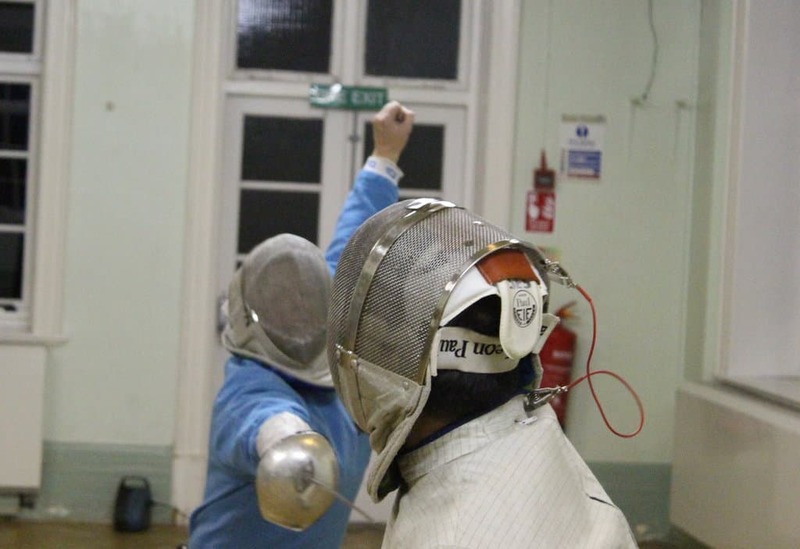 When they can fence they also have the use of the latest regulation equipment for the electric Sabre, Foil and Epee. The classes for adult fencers are held on Thursday evenings, between 7:45 pm and 10 pm, in room 7 at Shrewsbury House. Directions to the venue can be found here on the Location page. Each term runs over ten weeks, not including weeks with bank holidays, and the cost of the Adults term for 2018 is £70.00 with concession rates available. You can enquire about joining, concessions or payment options by using the contact form on the contact page. Please note that attendance of the club is by prior arrangement only. The Juniors section is for any child who currently fences, has fenced, or wants to learn to fence. Current fencers can just join in, and past fencers can refresh their skills and ease back into the sport. Those wishing to start fencing can come and learn at their own pace, without any pressure and importantly have fun while doing so! 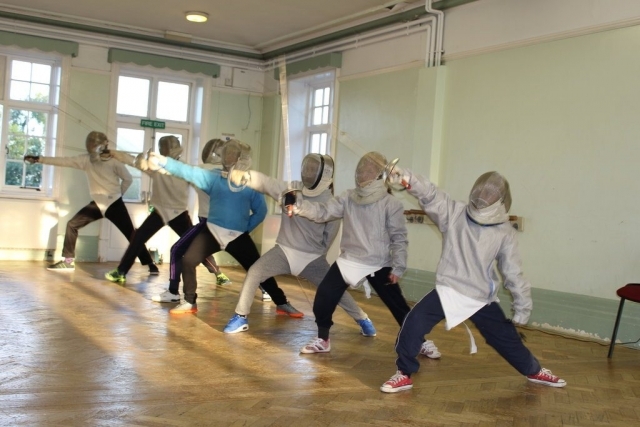 The primary weapon used in the Juniors Section is the Sabre. 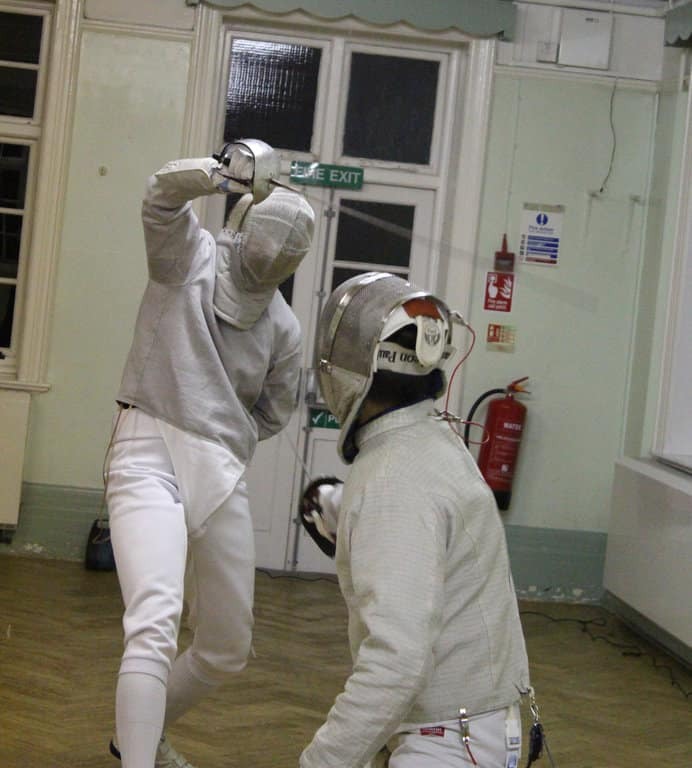 There is also the chance of trying out the Epee and Foil as well. The juniors are provided with the entire basic, minimum fencing safety equipment. When they can fence they have the use of the corresponding electric equipment for the electric Sabre, Foil and Epee. 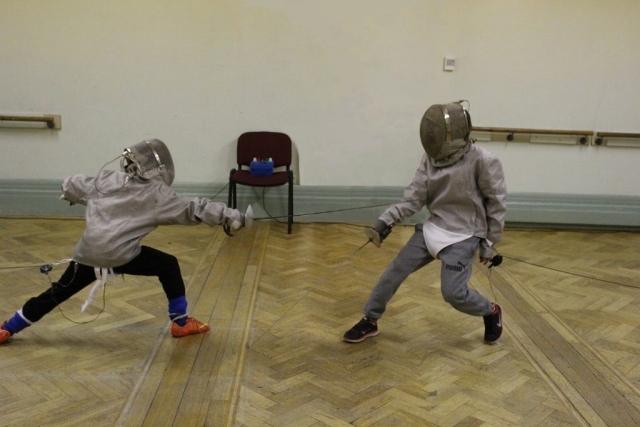 The classes for junior fencers are held on Monday evenings, between 7 pm and 9 pm, in room 7 at Shrewsbury House. Directions to the venue can be found here on the Location page. Each term runs over ten weeks, not including bank holidays, and the cost of the Juniors term for 2018 is £50.00 with a sibling discount available. You can enquire about joining, the sibling discount or payment options by using the contact form on the contact page. Please note that attendance of the club is by prior arrangement only. As the Club operates a waiting list for membership, prospective members are asked to contact us prior to their attendance, so that we can ensure that we have places available.